The Duchess of Cambridge was first spotted wearing the LK Bennett 'Darwin' shearling coat on Christmas eve 2011, while watching Prince William play football. 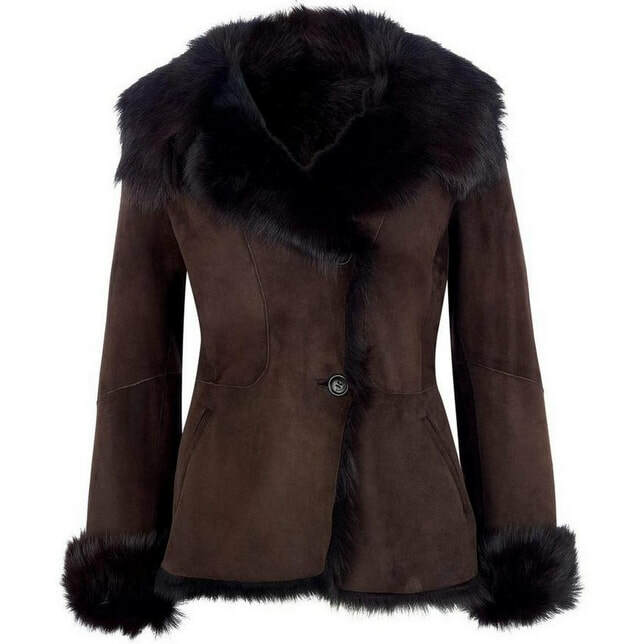 This 100% sheepskin jacket is part of the LK Bennett Signature Collection and has a full collar and cuffs with exposed shearling. Kate wears it in the Brown/Choc colour. 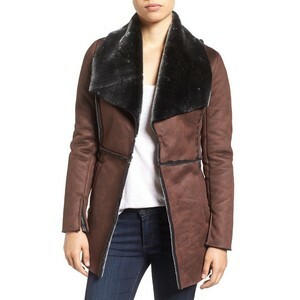 STYLE FILE: LK Bennett 'Darwin' Shearling Coat as seen on Kate Middleton, The Duchess of Cambridge.